Only the keenest Halo fans would have known the Master Chief was originally designed to have a sword (as this early design work shows). Guess I'm not that keen a Halo fan eh? Presumably the sword was to counter those of the Elite. 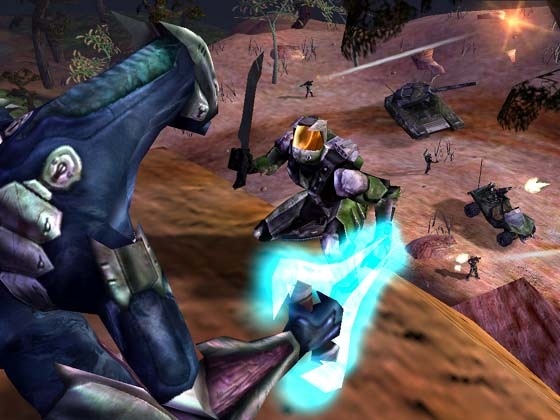 It wasn't until H2 that players got their hands on an energy sword and indeed it wasn't until Halo 3 that the flame-thrower that was infamously designed was able to be used to burn the Flood into crispy critters.